Hopeless romantic Milly Rose has had her fair share of heartbreak. Obsessed with all things Disney, she refuses to give up on finding her Prince Charming – he’s out there somewhere, isn’t he? When Milly is given a job to investigate the origins of a historical building in the village of Clover’s Rest, she’s not sure what to expect. What she discovers takes her breath away – a beautiful real life Cinderella castle, complete with turrets, a magnificent drawbridge AND a very handsome owner…Cameron Heartstone. As Milly and Cameron begin to unearth the secrets of Clover Castle, they can’t ignore the intense chemistry building between them. But they’ve both been hurt badly before. Can they take a big leap of faith and find their own happily-ever-after? Holly Martin is such a super talented author I have enjoyed all the books I have read by her. 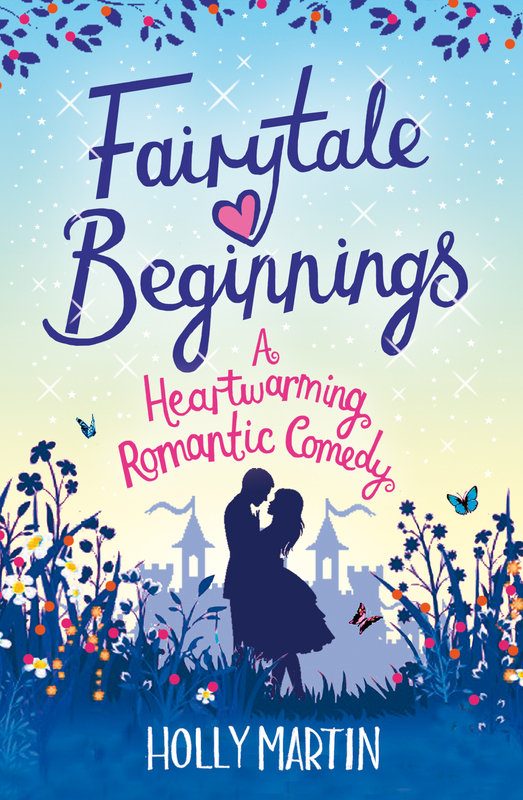 This novel Fairytale beginnings was such an enchanting modern fairytale which takes you to the magical Clover castle with Milly where she meets the dreamy Cameron and a host of other characters dead and alive !!!! I really loved this one aswell.